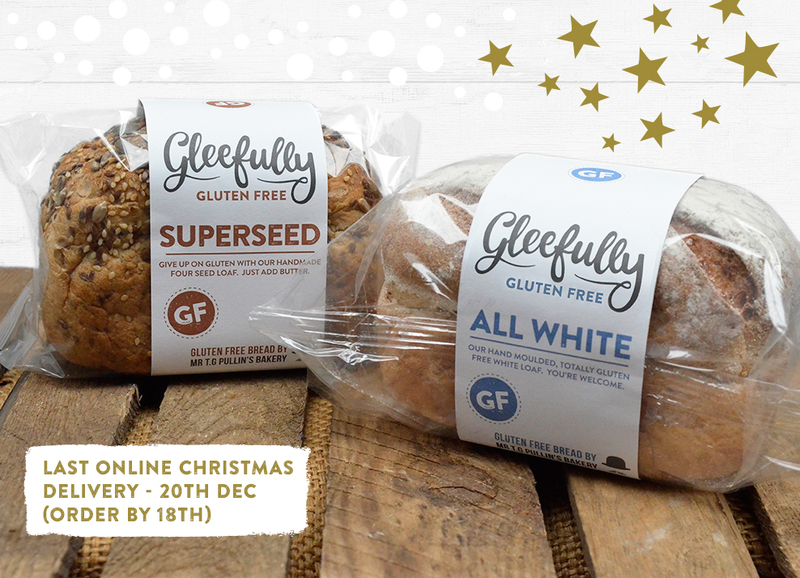 Our last delivery date for online bread orders before for Christmas will be the 20th of December, for which orders need to be placed by the 18th of December. The next delivery date after the 20th of December will be the 5th of January, for which we need orders placed by the 3rd of January. The limited timetable is due to courier restrictions over the festive period and also because we only have 3 members of staff in our gluten free bakery, all who definitely deserve a rest this Christmas! We’d like to thank everyone who has ordered through our online shop – we only launched the range a few months ago but it is proving hugely popular, especially for our gluten free bread. It’s great to be making the lives of coeliac sufferers and victims of wheat intolerance a little easier. Everyone needs good toast on Christmas morning and proper turkey sandwiches on Boxing Day.